The recent allegations that payments were made in connection to the bidding process for the 2020 Olympic Games is concerning. In order to understand who, what, where, when and why, I have looked into the reports available on the internet, and have tried to put together a timeline with explanations. I have tried to include links, many of which are from The Guardian, a newspaper based in London. Sometime between 2010 and 2014: Likliya Shobukhova, a top marathoner from Russia, had paid€450,000 in exchange for covering up doping violations. In other words, Shobukhova was extorted. July 2013: A payment of €1.3 million (USD1.5 million) called “Tokyo 2020 Olympic Game Bid” was sent from a Japanese bank to a bank account in Singapore, under a company called Black Tidings. The Black Tidings account is under the name of a Singaporean, Ian Tan Tong Han, who was a consultant to a company called Athlete Management Services, a company that “was set up to market and deliver the commercial rights granted to it by the IAAF“. According to the article referred to by the link, Tan was very close to Papa Massata Diack, the son of then-IAAF president and IOC leader, Lamine Diack. The article also alleges that Papa Massata Diack was part of an “informal governance system for the IAAF.” Lamine Diack was a voting member of the IOC during the 2020 Olympic bidding process in 2013, so people can only wonder if the payments had an impact on the vote. Additionally, French authorities are currently investigating Papa Massata’s request for USD5 million from the Qatar Olympic committee in exchange for support in their bids in the 2017, 2019 and 2021 World Athletic Championships. September, 2013: On September 8, 2013, it was announced that Tokyo won the bid to host the 2020 Summer Olympic Games. October, 2013: A second payment was made from Japan to the Black Tidings account, making the estimated total payment from a bank account in Japan to Black Tidings “at least US$2m (1.4m pounds)”. March, 2014: An arrangement was agreed upon in which Shobukhova would accept a suspension in exchange for a “refund” of €300,000, off of the original €450,000 extortion payment, primarily because the cover up failed. This payment was made from a bank account in Singapore, listed under Black Tidings. 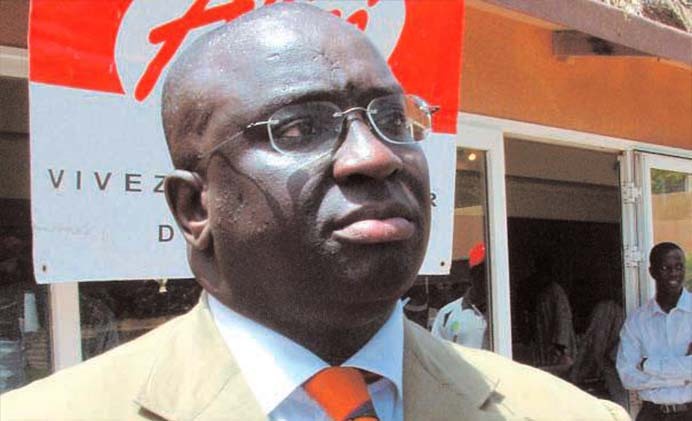 December, 2014: Diack Sr was arrested for alleged acceptance of more than €1 million in bribes to cover up doping violations. He is currently being investigated by French authorities. January, 2016: The Guardian reported on the contents of leaked emails that Papa Massata Diack arranged to have “parcels” delivered to influential members of the IOC in May, 2008 in an attempt to gain support for Qatar in its bid to host the 2016 Summer Olympics. May, 2016: The head of Tokyo 2020, Tsunekazu Takeda, has admitted that such payments were made to Black Tidings, but states that the payments are for legitimate services rendered. Takeda has launched in an investigation into these payments. In other words, there is a consistent set of allegations of payments connected to Papa Massata Diack, an influential figure in international sports, to cover up illegalities or quietly provide support. The vehicle connected to Diack is a company called Black Tidings, which has been linked to the doping cover up of marathoner, Shobukhova, and the Tokyo bid for the 2020 Olympics. These reports sadden me. What will we learn next? Posted in Others, Rio Olympics, Tokyo 2020, Track and FIeld and tagged Black Tidings, IAAF, Lamine Diack, Likliya Shobukhova, Papa Massata Diack, Tsunekazu Takeda. Bookmark the permalink.